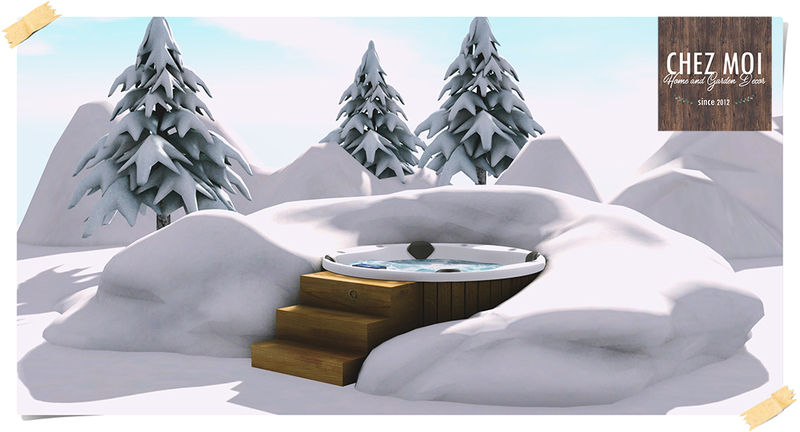 What about a Hot Tub in Winter with a great friend? 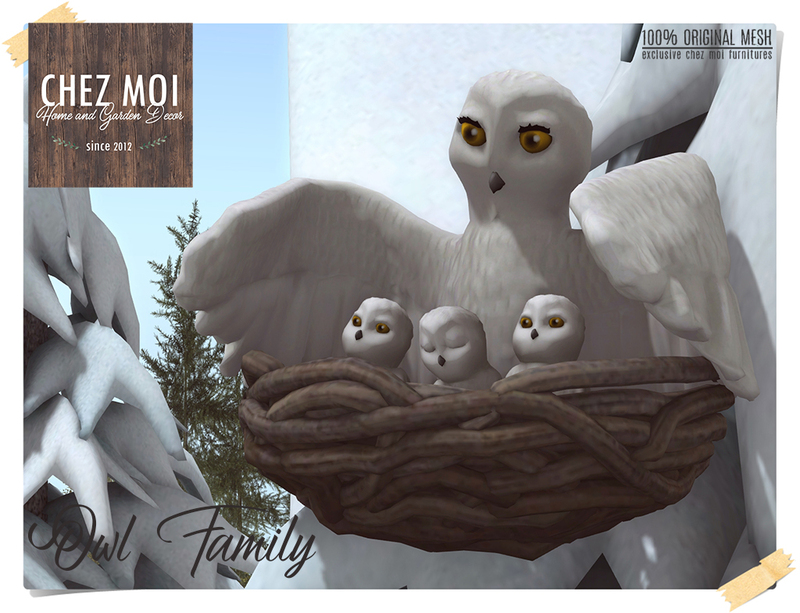 This Sweet Owl Family will amaze your guests and friends this winter! 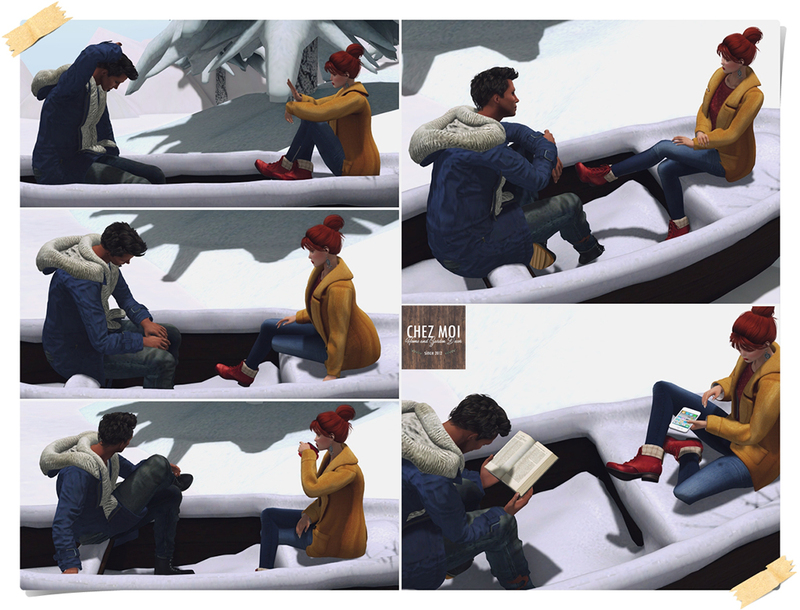 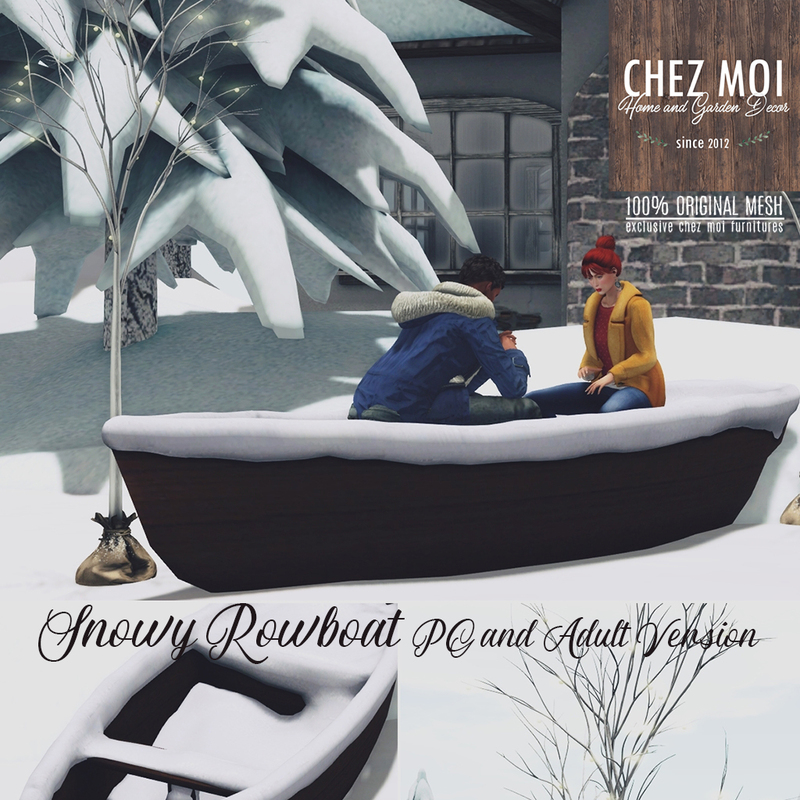 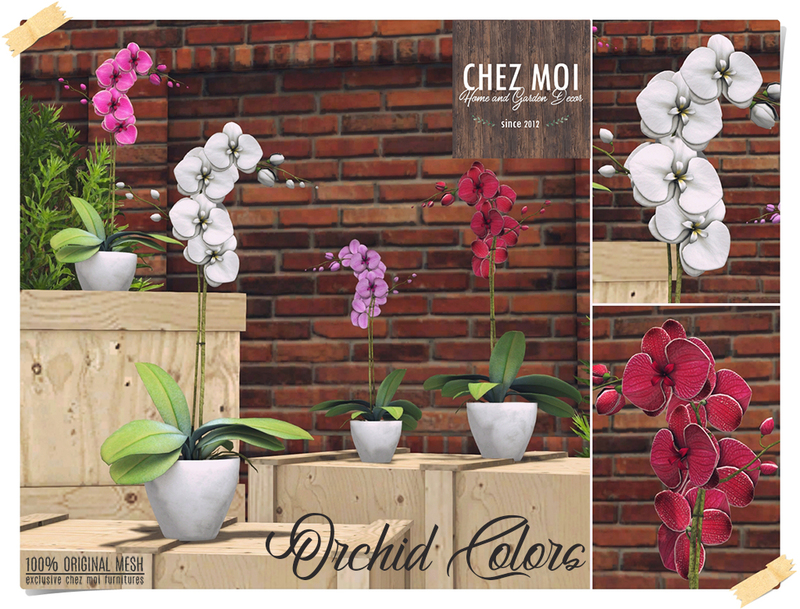 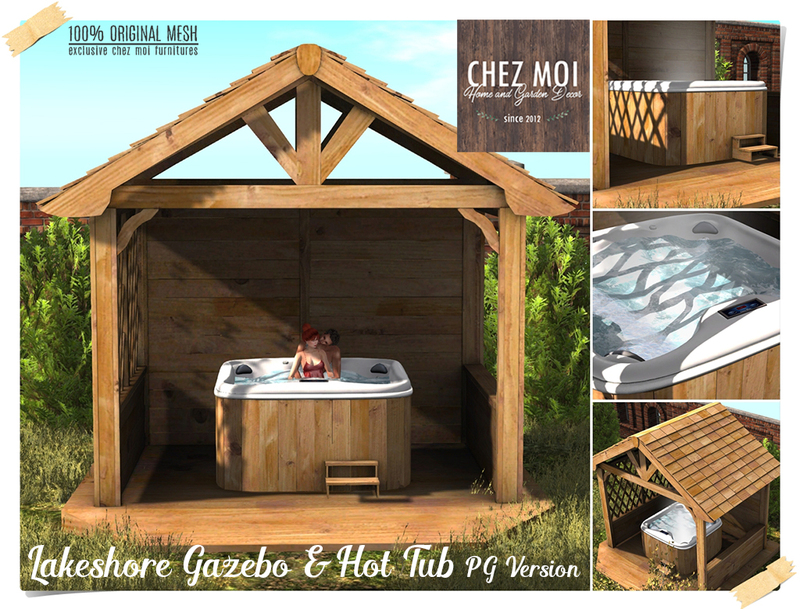 This release is available at CHEZ MOI MARKETPLACE. 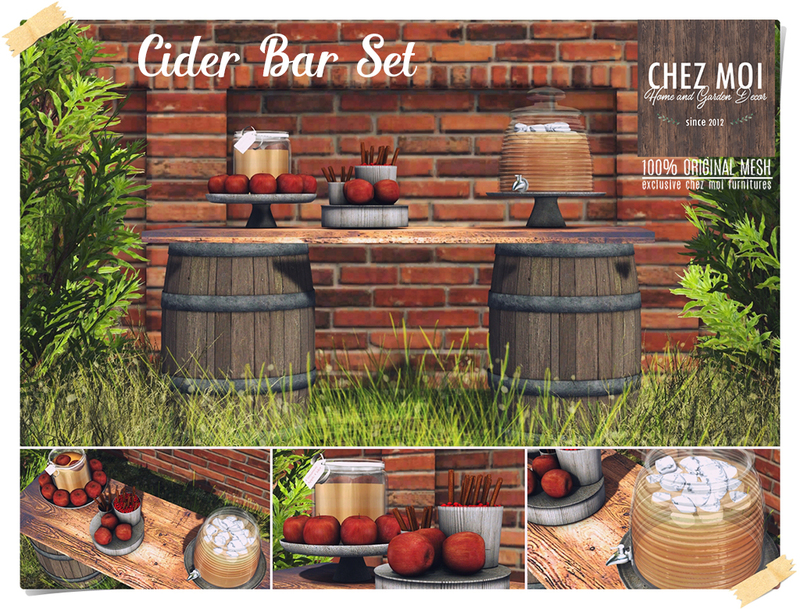 Rustic Cider Bar with whimsical details and realistic look to decorate your home sweet home. 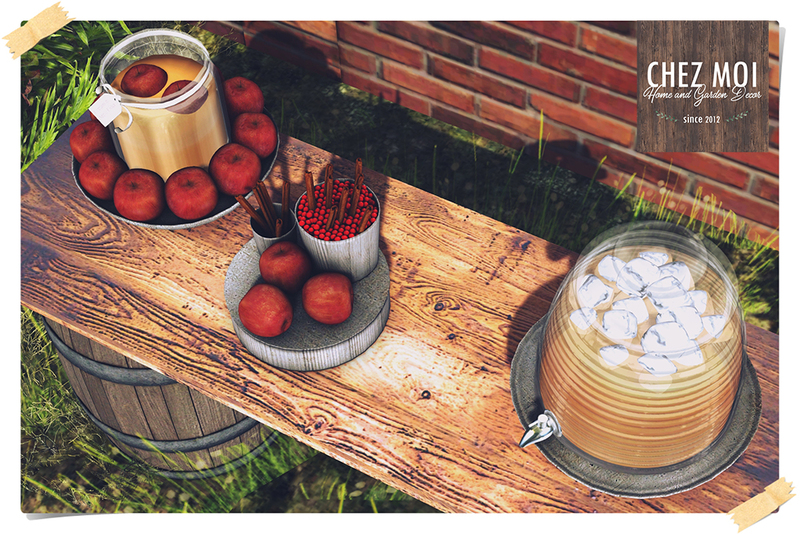 Touch the dispensers to enjoy a delicious apple cider. 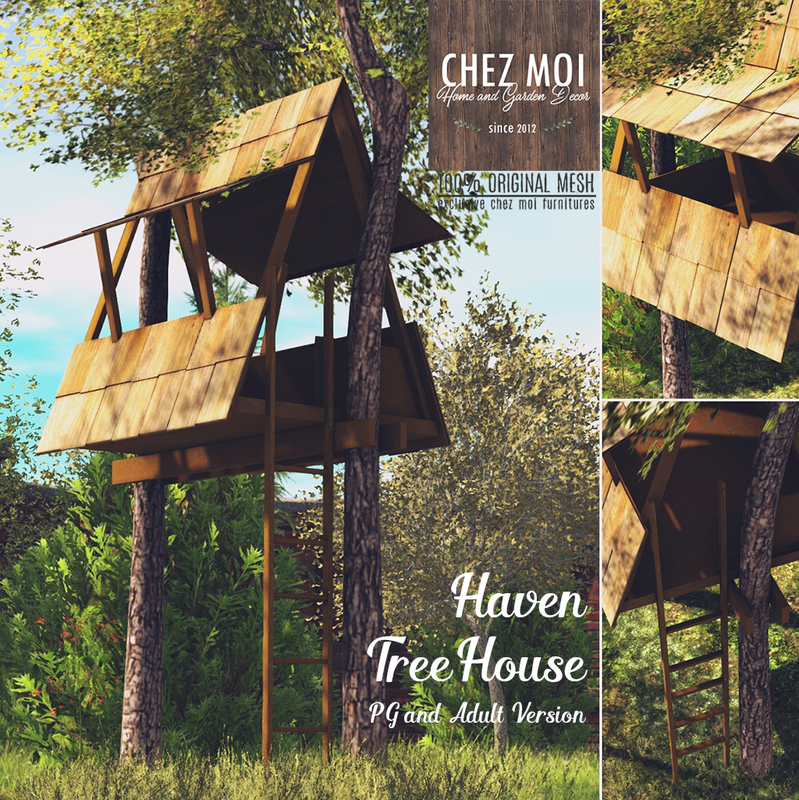 How about spending a pleasant time this amazing Tree House? 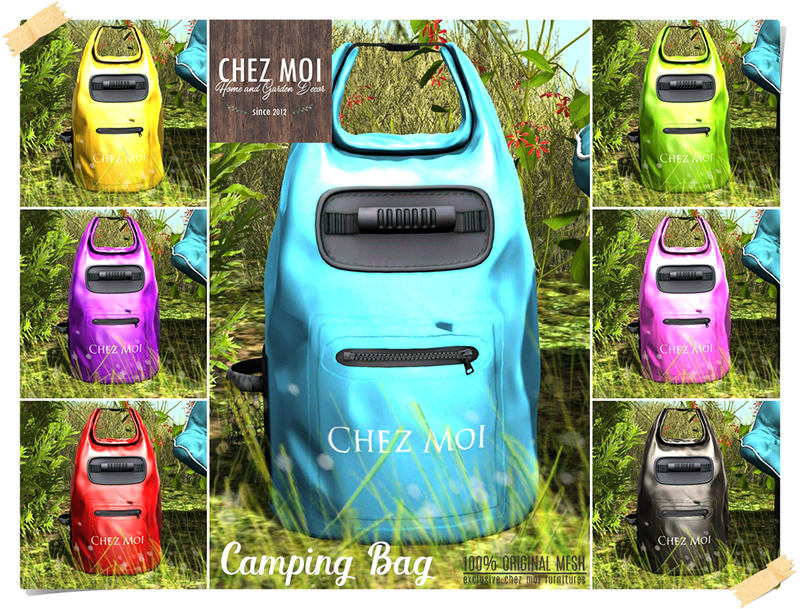 This Camping Chair and Bag have realistic look and several color options. 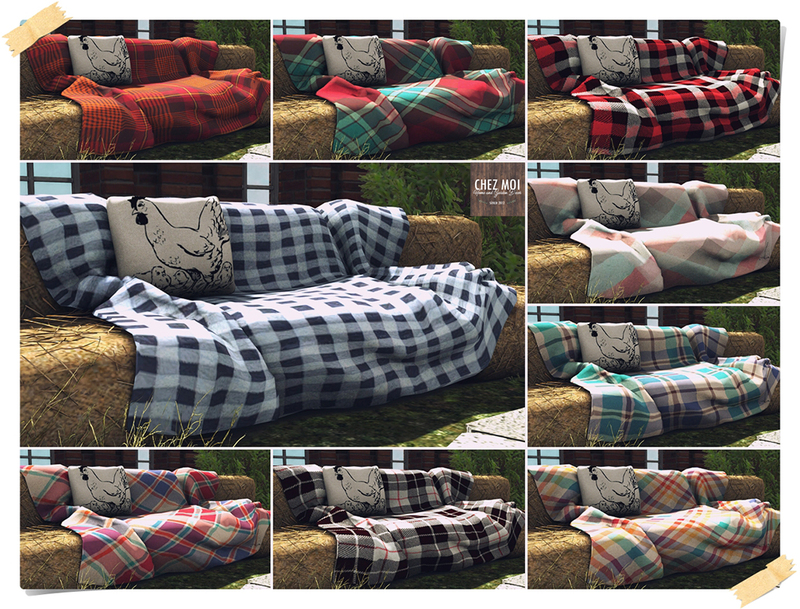 It’s ideal for camping, picnics or decorating spaces outdoors. 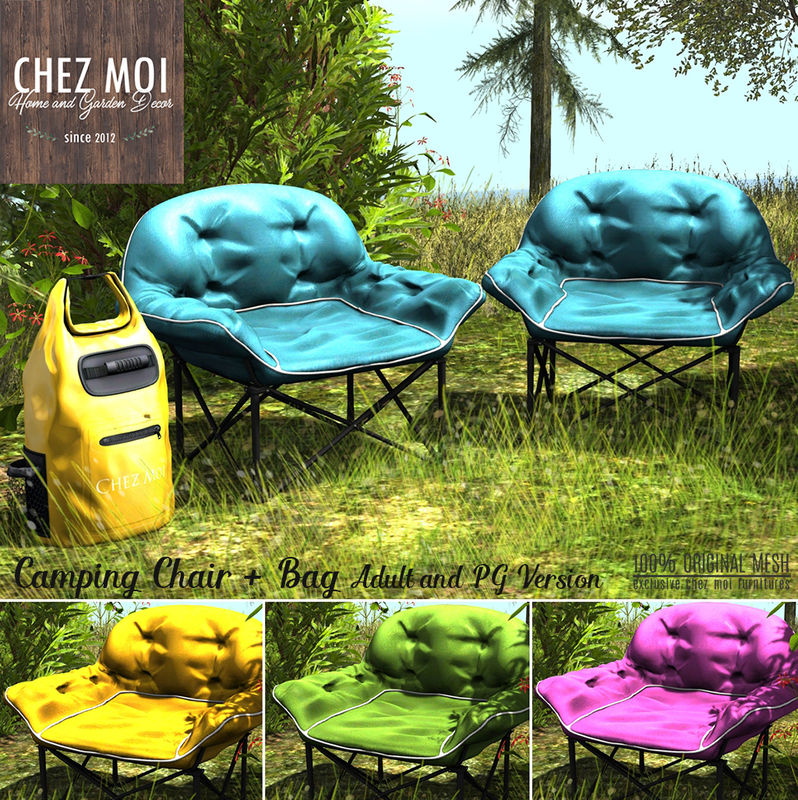 Touch the chair and bag to display the color menu. 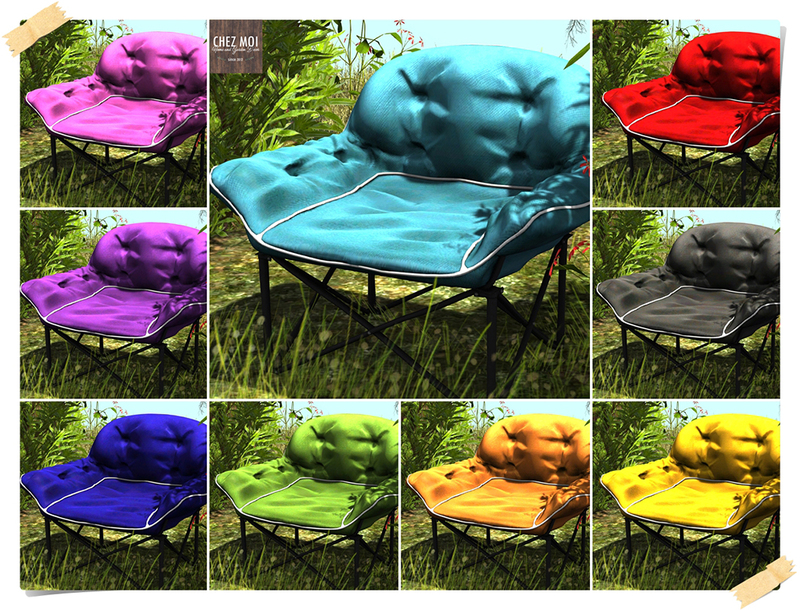 9 colors to choose from.